Just a few short years ago, Blu-ray players were still pretty much luxury items—and even if you did pony up $400 or more for a Blu-ray deck, the selection of movies available on Blu-ray was puny compared to what you can watch on DVD. But much has changed in the mere five years since the very first Blu-ray player went on sale, for the jaw-dropping price of $999. The early glitches of the high-definition format (such as 30-second to minute-long delays before a disc would start to play) have been ironed out, prices have dropped like a stone, and the big movie studios—all of them—have been cranking out Blu-ray titles like there’s no tomorrow. Of course, the rest of the home-video world hasn’t been standing still, either. YouTube, iTunes, Amazon, Netflix, and other streaming services have exploded in popularity over the past few years—so much so, indeed, that they’ve threatened to render DVDs, Blu-ray, and other “physical” video media obsolete. After all, why bother trekking to the video store or waiting for a disc to arrive in the mail when you can stream a movie over the Internet, instantly? Blu-ray isn’t the only way to watch HD-quality movies and TV shows at home. After all, cable and satellite TV carriers have been offering HD for years, and you can certainly stream HD video via Netflix, iTunes, and even YouTube. But high-definition video that’s streamed over the Internet or delivered via cable or satellite is subject to an excessive amount of compression—that is, a signal that’s been tightly squeezed to save space, or “bandwidth.” Ever noticed that the HD picture on cable looks blocky, jumbled, or otherwise less than razor-sharp? That’s video compression in action, and it’s not pretty. Now, just to be clear, the video that’s burned to a Blu-ray disc has been compressed, too; otherwise, there’s no way the high-definition version of “Avatar” would fit on a single disc. Unlike pay-TV HD channels or Internet-based video services, though, Blu-ray video doesn’t have to travel through miles of cable or get bounced off an orbiting satellite; instead, it’s delivered all of a few feet from your player to your HDTV, over an all-digital HDMI cable. The result: a crystal-clear, 1080p image that has the potential to be truly eye-popping, especially if you own an HDTV that’s larger than 40 inches or so. When the first Blu-ray players arrived back in 2006, you could watch all your favorite movies on Blu-ray disc—well, as long as one of your favorites was “50 First Dates,” “Hitch,” “The Fifth Element,” or “The Terminator.” Indeed, even more than a year after Blu-ray hit the market, fewer than 1,000 Blu-ray titles were available, compared to nearly 100,000 titles on DVD. In recent months, though, the big movie and TV studios have been stepping up their Blu-ray disc production, with the number of Blu-ray titles swelling to more than 15,000 by this past summer. Today, just about every new video rental is available on Blu-ray, while a growing number of older, “catalog” titles—including “Citizen Kane,” “Ben-Hur,” “The Sound of Music,” all three “Godfather” movies, “The Bridge on the River Kwai,” “Patton,” and “North by Northwest”—have either made or are about to make the jump to Blu-ray. Indeed, the biggest movie franchise of all time—”Star Wars”—just came out on Blu-ray last week. That’s not to say there aren’t still some gaping holes in the overall Blu-ray catalog—where’s “Lawrence of Arabia,” or “Raiders of the Lost Ark,” for example? Chances are, though, that most of the movies on your top-10 list are now available on Blu-ray. It wasn’t all that long ago that even the cheapest Blu-ray decks cost north of $200, but prices have dropped dramatically over the past 18 months. A quick search on Google yields dozens of brand-name Blu-ray players (as in Panasonic, Samsung, Sony, and Vizio) on sale for less than $100, and price tags are sure to plummet even further come Black Friday. Don’t worry, you won’t have to toss out your dusty DVD collection if you get a Blu-ray player. Every Blu-ray deck on the market, including bargain models, will play DVD discs—and in fact, thanks to the “upscaling” video technology in the latest Blu-ray players, your old DVDs may look better than ever, although they still won’t match the picture quality of a Blu-ray disc. If you’ve been flirting with the idea of streaming movies over the Internet onto your HDTV, buying a Blu-ray player might be the easiest way to get started. More and more (although not all—make sure to double-check the list of features before you buy) Blu-ray decks come with built-in support for instant Netflix, Amazon, and Hulu videos, perfect for streaming videos and watching Blu-ray discs on the same device. 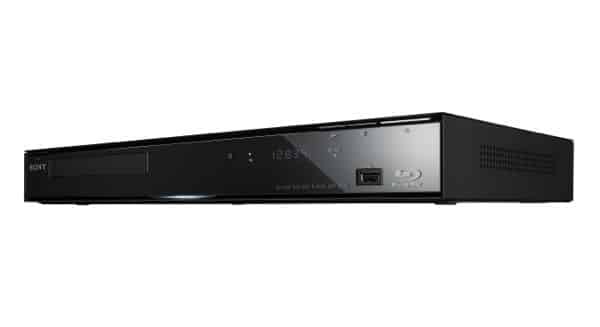 If you do decide to buy a video-streaming Blu-ray player, though, keep in mind that you’ll need to connect the player to the Internet before you can start streaming. Just about any Blu-ray player on sale today comes with a wired Ethernet port, but that would involve stringing an Ethernet cable from your home broadband router to your living room. Instead, consider spending a little extra for a Wi-Fi-enabled player that connects to your home wireless network. Have more questions about Blu-ray? Let me know!